Home > Testimonials > Quentin H.
Matt and his team did a great job selling my house in Agate Bay, Matt was highly professional throughout the process – he provided an insightful read on the market, developed an effective sales strategy and positioned my house for a quick sale at the price I was seeking. Matt’s extensive experience and knowledge of the Tahoe-Truckee market ensured the sales process was efficient and effective. Communication is key for me and Matt was not only responsive but pro-actively kept me up to date on all developments. 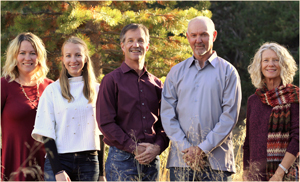 I highly recommend Matt for anyone looking to buy or sell in Tahoe-Truckee.